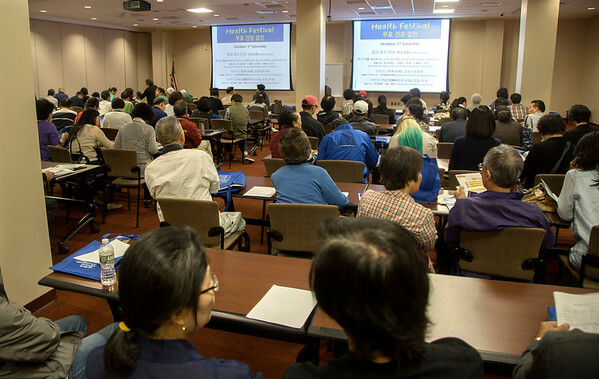 More than 1,000 uninsured Asian residents will be at Holy Name Medical Center on Saturday, October 1, to get results of blood tests, meet with physicians and undergo additional screenings as part of the Medical Center’s 8th annual health festival, organized through the hospital's Asian Health Services. Most of the participants had their blood drawn last weekend and will be able to meet with specialists to review specific health concerns. The health festival is held in Holy Name's Marian Hall from 9 am to 1 pm. The blood work tested for 35 markers, including those that show cholesterol levels, anemia, diabetes, liver and kidney function and hepatitis B. Some participants will go through additional screenings such as thyroid sonograms, digital prostate exams, eye tests, and hemorrhoid, dental and foot exams.